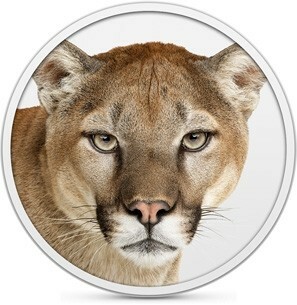 Apple today released the first maintenance update for its new OS X 10.8 Mountain Lion operating system. Weighing in at just 24.2MB, OS X 10.8.1 is somewhat of a minor update that includes general operating system fixes to improve stability and compatibility. Apple’s release notes lists fixes to Migration Assistant, an issue playing audio through a Thunderbolt display, improved compatibility when connecting to a Microsoft Exchange server in Mail, and the resolution of a bug that could prevent iMessages from being sent. Apple didn’t list any battery life improvements -- a complaint some MacBook users have had since Lion -- but the battery percentage now shows up in the menu bar again. The update is available directly from Apple's site or via the Software Update mechanism that directs users to the Mac App Store for updates and requires a system restart. Apple-centric blog 9to5Mac reports that the Cupertino firm is already testing OS X 10.8.2, with fixes and improvements reportedly focused on Messages, Facebook, Game Center, Safari, and Reminders.